Despite having a name that sounds a little like a type of painkiller, Molineux is full of history and also boasts a number of fun claims to fame. 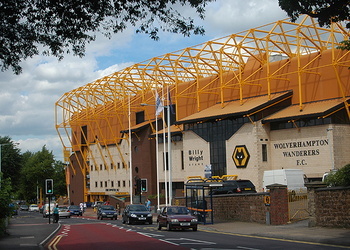 It has been the home of Wolverhampton Wanderers since 1889 and was also the club’s first permanent football ground. Previously they’d basically played on a field and a makeshift location on Dudley Road. Molineux was the first ‘new build’ stadium in the Football League and was also one of the first grounds to install floodlights, allowing games to be played after it had gone dark out. 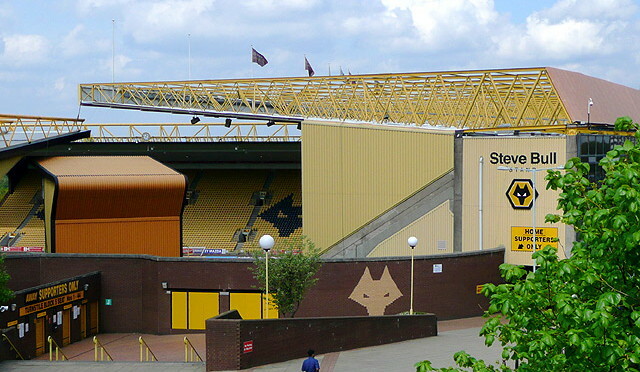 Molineux also played host to one of the first European club games, which it did in the 1950s. 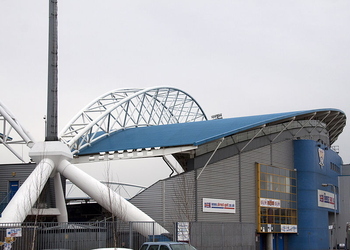 When it was renovated in the early 1990s the stadium was considered to be one of the most modern and state-of-the-art grounds in England, though it is obviously showing its age now compared to more recently developed grounds. Clubs Hosted Wolverhampton Wanderers F.C. The Stan Cullis Stand - This was the first stand to be re-built when the club decided to renovate the ground in 2010. 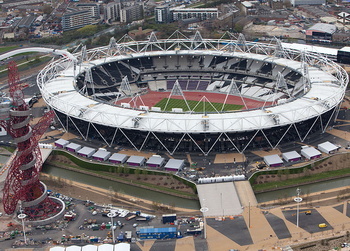 It can house just under 8000 supporters over its two tiers. 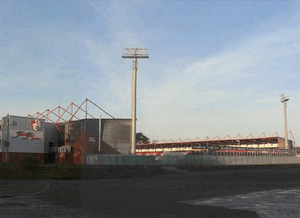 The Steve Bull Stand - Renamed after the club’s record goalscorer in 2003, this stand was originally called The John Ireland Stand and runs along the side of the pitch. 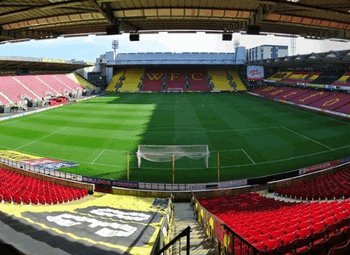 The Sir Jack Haywood Stand - A single-tiered stand that welcomes the most vocal of the Wolves support, the views from every seat are uninterrupted. Prices for Wolves matches aren't too expensive, with match split into just two different categories. The main things that will change how much you'll pay are your age and where in the ground you'd like to sit. Prices range from £25 to £30 if you're an adult or between £15 and £18 if you're over sixty-five. When it comes to season tickets, you'll pay different amounts of money depending on whether you get them over the phone, on the internet or via Direct Debit. The best way to get tickets for Wolves matches is via the club’s official website. You can not only buy match tickets but you can also click on an interactive map of the ground that will let you know roughly what the view will be from your seat. You won’t get that over the phone, though you can, of course, buy tickets that way if you’d prefer. 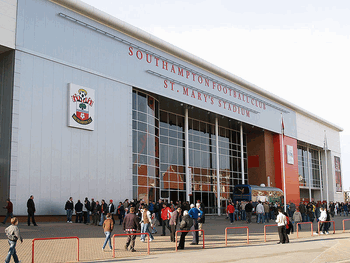 You can also pick up tickets from the club’s box office at the ground itself. Train - Molineaux is little more than a short walk from Wolverhampton Railway Station, so get there and you’ve done most of the journey without having to get off your bottom. There are direct trains there from Birmingham New Street, London Euston and Liverpool Lime Street, to name but three possible starting locations. Bus - There are at least eight different bus routes that serve Molineaux from the city centre and surrounding regions. Bus number 3, 4, 5, 5A, 62, 62A, 877 and 878 should all get you to where you want to go. Car - From the North exit the M6 at Junction 12 then take the A5 then the A449 and follow the signs. From the South leave the M5 at Junction 2 and get onto the A4123 before following the signs for the ground. 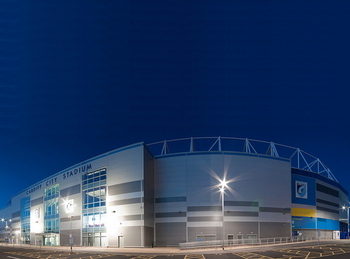 From the South-East leave the M6 at Junction 10 and take the A54 then the A449 until you see the stadium. By Air - Birmingham International Airport is the one you’ll be heading towards if you’re flying in especially to see Wolves play. It’s about thirty miles away and there are direct trains to Wolverhampton that take about thirty minutes. Taxi - A train from Wolverhampton Railway Station to the ground will probably take you longer than walking because of the city’s traffic routes, but if you’re interested to know then it will take you just over 5 minutes and cost about £8. Needless to say if you get stuck in traffic you’ll pay more. 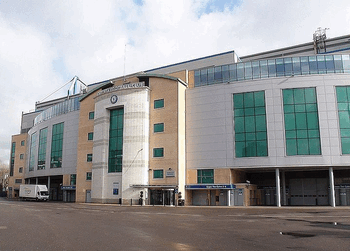 There are a whole host of official car parks near to the ground that offer free match day parking. 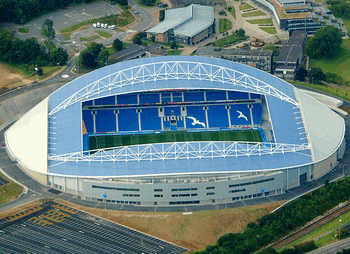 You can book a parking pass through the ticket office and they’ll assign you a space in one of four locations; Birch Street, Redhill Street, Camp Street and Whitmore Hill are the ones that the club uses. There are on-street parking restrictions around the ground, but with four free car parks at your disposal why would you want to park on the street anyway? Wolverhampton is an enjoyable city to spend time in in its own right, but you’ve also got Birmingham nearby should you prefer the bright lights of a big city. 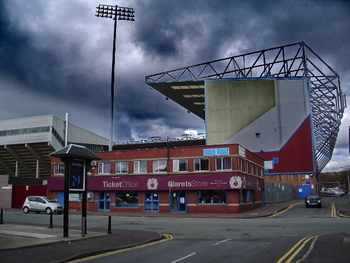 Here are some hotels you might want to consider for your visit to Molineaux. Located near to the train station and a short walk from the stadium is the Britannia Hotel, a place with bags of character. There’s a restaurant, a bar and six meeting rooms should you wish to do a bit of business, plus it’s virtually on top of the theatre in case you want a bit of culture in the evening. More details. You know what you’re getting with hotels in the Novotel chain. They’re not the best in the business but they’re not the worst either, so expect self-parking, meeting rooms, a garden and free Wi-Fi. The hotel is about half a mile from the ground, too. More details. A little further afield than the other two at about five miles from the ground is this member of The Village chain of hotels. There are over 120 rooms to choose from and your stay includes access to a health club with an indoor pool, a terrace area, free Wi-Fi and free parking. More details. The Stone House is an away-fan friendly bar that used to be a Walkabout. They serve food and decent pints plus there are loads of big screens to watch the footy on. This city centre pub serves decent grub and good drinks, including an excellent cocktail selection. They welcome away fans and have multiple big screens in order to show as much sport as you fancy watching. Just behind Wolverhampton Railway Station is this traditional redbrick pub with a great selection of real ales. They don’t do food but you can get decent bar snacks. It’s one for home supporters as away supporters aren’t refused entry but are advised to hide their colours. The fact that Molineaux is almost constantly being updated and upgraded is a good thing as far as the ground’s facilities are concerned. The seats are reasonably comfortable, the views are almost universally unobstructed and the concourses are wide and welcoming. 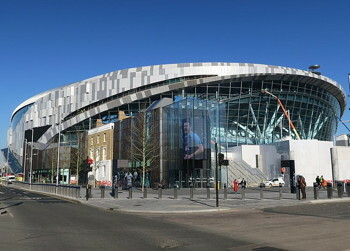 You’ll be faced with numerous places to buy a bite to eat or a refreshing drink before and during the match. The WV1 Restaurant - You’ll enjoy a three-course meal on a private table that faces the pitch here, before heading to your padded seat in The Stan Cullis Stand. A pay bar is also available and you’ll receive half-time and full-time refreshments, too. The International Restaurant - This really is a cut above the normal match day hospitality experience. You’ll get a welcome drink on arrival, a three-course buffet style meal, cheese board and refreshments at half-time, coffee and cake at full-time and padded seats in the upper section of The Billy Wright Stand. The WV1 Bar - This is the more relaxed alternative to the restaurant of the same name. 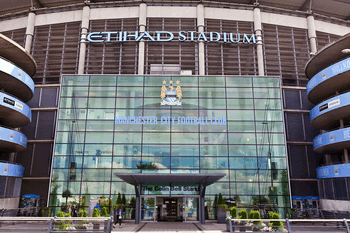 More like a city centre pub located in the middle of the ground, The WV1 Bar lets you buy drinks at the cash bar, purchase pub grub style food and take a padded seat in the stand to watch the match. You also get one complimentary drink per person for good measure. There are no less than twelve suites and rooms available for private hire at Molineaux, not including the executive boxes. The likelihood is slim, therefore, that you’ll want to put on an event that the gang at the home of Wolverhampton Wanderers won’t be able to cope with. Whether you want to host a Christening, an exhibition or even a wedding, this could be the perfect venue for your private hire needs. 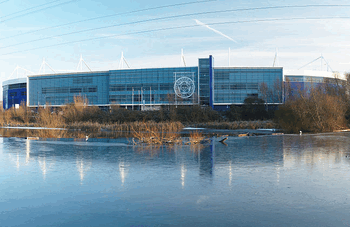 Departing on Sundays at 11am, the tour of Molineaux stadium will see fans take in all of the sights you’d expect from a visit to one of the West Midlands’ most up-to-date stadiums. You’ll get a chance to wander around both dressing rooms, walk down the tunnel to the side of the pitch and take a moment to sit in the manager’s dug-out and imagine what it would be like to prepare your team for the challenge ahead. Tour tickets cost £12 for adults, £8 for concessions or you can buy a family ticket for two adults and two concessions for £35. Included in the cost of the ticket is a visit to Molineaux’s new museum dedicated to the history of Wolverhampton Wanderers; a must-see for any big Wolves fan or those hoping to learn about the club’s illustrious past. You need to book in advance for the tour, so get in touch with the club before you head along. 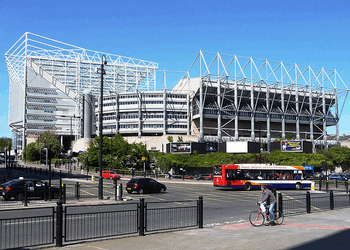 If you just want to do the museum, which is open on match days, then it’s £7 for adults and £4.50 for concessions. 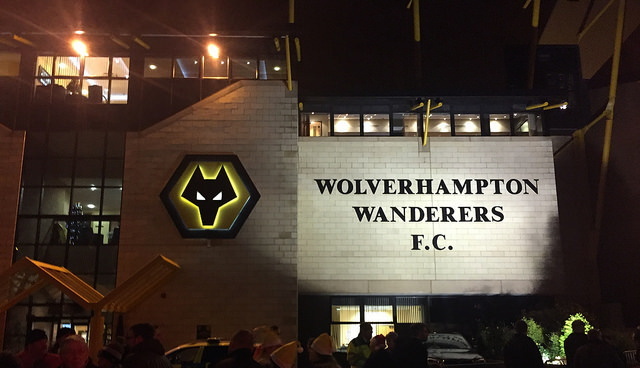 Founded as St. Luke’s Football Club in 1877, though there was no proof that Saint Luke ever played for them, Wolverhampton Wanderers are better known to football fans simply as Wolves. They were not only one of the founding members of the Football League but also helped to establish the European Cup, the competition that was later to be rebranded as the Champions League. 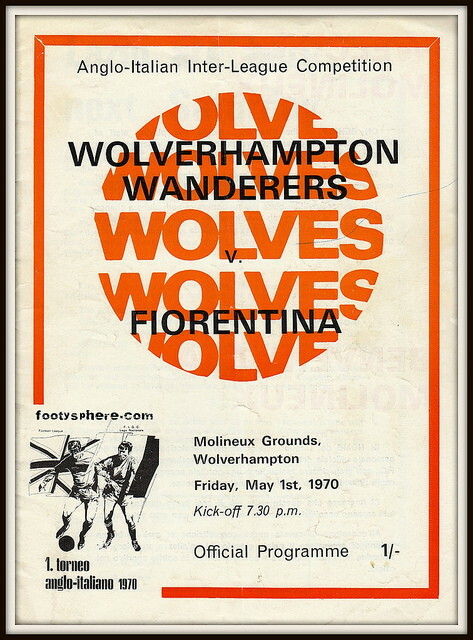 This led to Wolves being declared to be ‘The Champions of the World’ by some sections of the English press thanks to their victories against the top teams in England and the rest of Europe. Despite the club failing to relive their former glories in recent times they do have an illustrious history. 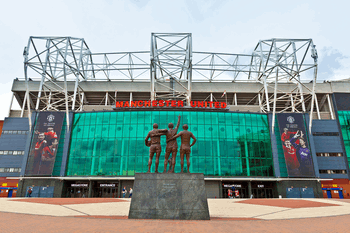 They have won the country’s top division three times, most recently in 1959, and also finished runners-up five times. 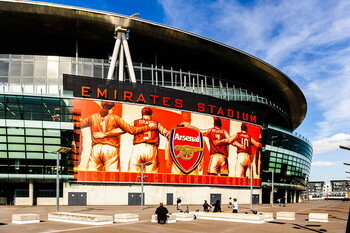 They have won the second-tier of English football three times, too, with their most recent win coming in 2009. They narrowly missed out on a UEFA Cup win in 1972 and have four FA Cups to their name, to say nothing of their two League Cup wins. The ground’s strange name was taken from Benjamin Molineaux, a local merchant to the city who purchased the land on which the stadium now stands. He originally built himself a home that he somewhat arrogantly called Molineaux House, which was later turned into Molineaux Hotel. In 1860 the land was purchased by O. E. McGregor and he turned it into a pleasure park, complete with ice rink, cycling track and a boating lake. Crucially it also featured a football pitch, and it was this that Wolverhampton Wanderers leased from Northampton Brewery after the company bought the land in 1889. The ground as it is presently known came into existence during the 1990s. 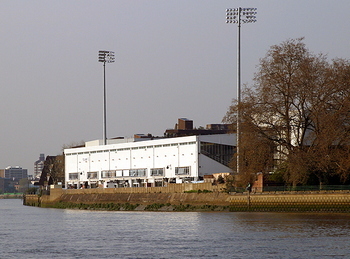 It followed the takeover of the club by Sir Jack Hayward, the man after whom one of the stands is now named. 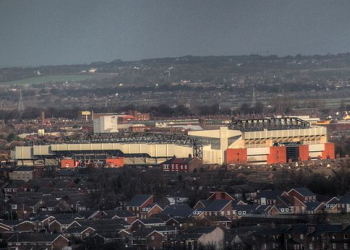 He saw the requirement to redevelop the stadium in the wake of the Hillsborough disaster as an opportunity to bring the club’s ground right up-to-date, demolishing and re-building the stands one at a time throughout the early part of the decade. The new stadium was opened officially in December of 1993 when Wolves played a friendly again the Hungarian side Budapest Honvéd FC. Plans to renovate the stadium were announced in 2010, with The Stan Cullis Stand the first to undergo developments. There are plans to move on to The Steve Bull Stand next before adding a second tier to The Jack Hayward Stand. 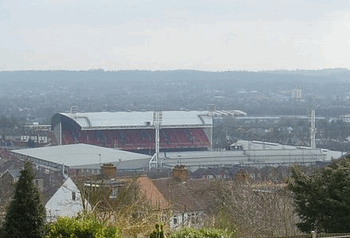 Finally The Billy Wright Stand would be redeveloped to bring the capacity of the stadium up to around 50,000. 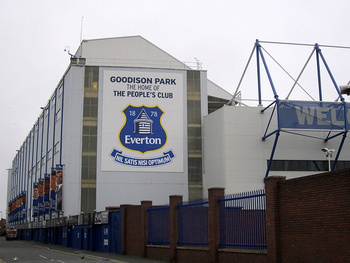 These works were temporarily postponed when the club's then owner, Steve Morgan, decided to put it up for sale. It seems unlikely that much will happen until such a time as Wolves establish themselves as a Premier League club.